We are Niceville / Valparaiso's ONLY mixed martial arts and jiu jitsu school. We Offer Beginner, Intermediate and Advanced classes in all arts. We have classes for men, women and children. We have certified instructors in Muay Thai Kickboxing, Brazilian Jiu Jitsu and trainers with knowledge in all aspects of combat. School of Combat Arts also provides Fitness Classes to those that want to get into Fighting shape with out the hard sparring. 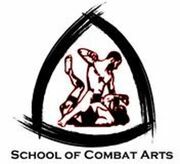 Rate and review School of Combat Arts in Valparaiso, FL, United States! Share your experiences at School of Combat Arts with your friends or discover more Spas in Valparaiso, FL, United States.